Google uses an algorithm to determine whether content is going to be near the top of the search or not, and that algorithm changes frequently. But if you aren’t sure about the algorithm that’s currently being used or you’re not sure how to make the changes that are needed, you could end up losing out on search engine rankings. When you don’t rank high in the search engines, you lose out on the money your company could make from people finding you. Here are four things you need to carefully consider when you’re making adjustments to fall in line with Google’s algorithm, so you can keep your search engine ranking high and continue to show the internet world everything your business has to offer. Borg Cubes are a new thing, in a way. They’re based off of a system Google has, called Borg, that groups applications together. In the past it was one algorithm for everything, and one mind at the top that had control over things. Now, there are different algorithms that need to be adjusted for and more than one mind addressing the issue. That can complicate things, but the best thing you can do is just embrace the changes. While you may not be sure why all of the changes are being made, the fact is that they are and they can greatly affect your business. You can’t exactly argue with Google or ask them to do things differently to accommodate you, so fitting into one of their Cubes is the way to keep your ranking high. Microalgorithms require minute adjustments, and these can change more frequently than the overall, full algorithm. Because of these micromanaged areas, search engine rankings can change slightly but quickly. That’s worth considering, of course, since something that was listed on Google as a high ranking site may not be as high after a few micro adjustments. You can easily make small changes to accommodate the adjustments, but you won’t be making those changes if you don’t know the adjustments are there are haven’t planned for them. One of the things you should know about Google’s algorithm is that changes are frequent and periodic. With that in mind, you want to be proactive with the adjustments you’re making to your site. If you know that an algorithm change is coming up, start making your adjustments now. Then you can have a better chance of staying high in the search engine rankings. The higher you stay in the rankings the higher the chances of people finding you and buying from your company. It can be hard to be proactive if you don’t know what the changes are going to be, but staying up with the planned changes can make being proactive much easier. No matter what Google does, one of the best ways you can follow their algorithm and get things done for your company is to put good content on your website, blog, and social media sites. Don’t be spammy, and look for strong keywords and keyphrases that your customers will be searching for. Have something to say, as well. It’s important that you don’t just try to sell people on what you have to offer. You also want to show them that you have knowledge about your industry or niche. The more readers feel like you’re a trusted source, the more they can rely on your company to offer them what they need. That bond can keep them coming back and buying from you, even if your search ranking position changes. It’s not always easy to work within the constraints that Google puts on things, because the search engine can seem fickle at times. But companies that are serious about their search engine ranking know they have to do their best to meet Google’s algorithm requirements. By doing that, you’ll have a chance to stay high up in the search rankings. Not only does that keep you in the minds of customers who are looking for what you offer, but it also helps you look more established and professional to internet searchers. That might not solve all of your problems, but it will certainly give you the chance to address any concerns you’re having when it comes to getting people to find your site. From there, you can focus on selling to the people who find you by showing them the value you offer. Making sure they like you is important, but they have to find you first. 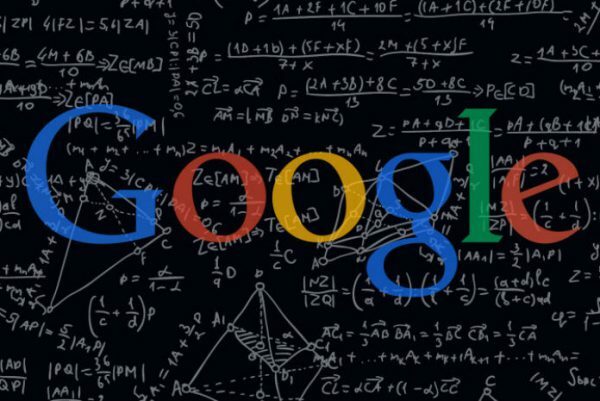 Working with Google’s algorithm can take care of the finding part, and the rest is up to you.